I’ve been told by a few different people to try listening to Collective Soul. It’s taken a while, but I’ve finally gotten around to giving them a good listen, and it was exactly that, a good listen. The album “Afterwords” is quite awesome to listen to. I found that I didn’t care for the lyrics in every song, but this album has some excellent classic rock sounds. While it’s catchy and familiar to the ear, there is a bit of uniqueness to each song that gives it a little flair. My favorite tracks on the album, starting with the best, are: I Don’t Need Anymore Friends, All That I Know and Hollywood. So go ahead and check out the album or at least these three songs. Devin’s Hell or Heaven rating is 1-5 stars, 1 being absolute hell, or worse if you can believe it and 5 being more awesome than sleeping while floating blissfully through a silent sky, or just playing video games without any other plans for the day. 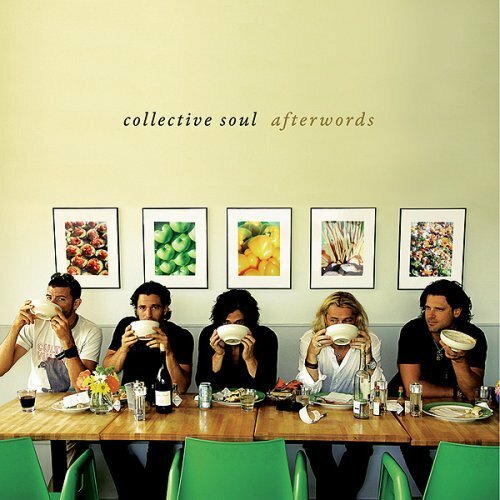 Collective Soul’s “Afterwords” gets 3.75 stars, which is equivalent to eating your favorite pizza on a cold day.